The International Conference on Intelligent Manufacturing and Internet of Things (IMIOT 2018), and International Conference on Intelligent Computing for Sustainable Energy and Environment (ICSEE 2018), were held from 21-23 September in Chongqing, China. They gave international researchers and practitioners the opportunity to discuss novel and cross-boundary approaches to intelligent manufacturing and revolutionary smart energy systems. The conferences were organised by the UK-China University Consortium on Engineering Education and Research. 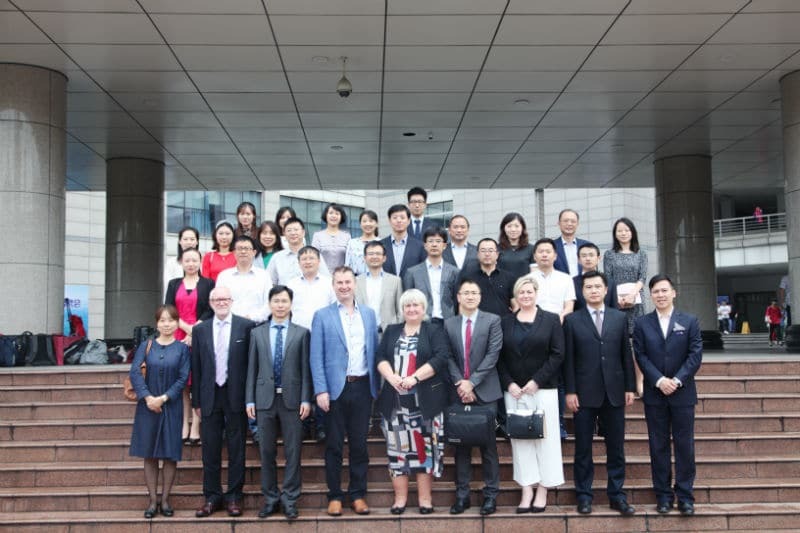 The Consortium is the first of its kind to partner leading UK universities with the top engineering research institutions in China. It is led by Queen’s University Belfast and Southeast University in Nanjing, and is made up of nine UK universities, plus nine more in China. Speaking on behalf of the UK Universities involved, Queen’s University Belfast’s Pro-Vice-Chancellor for Engineering and Physical Sciences, Professor Mark Price, said: “The aim of the Consortium is to build major global partnerships around research and education, and this event was the ideal opportunity for engineering institutions from the UK and China to come together to share knowledge and expertise.